Tencent Holdings has applied for a licence in Malaysia to offer local payment services via its WeChat Pay. Director of WeChat Pay’s global operation Grace Yin told Reuters if approved, it will a first for the platform outside mainland China and Hong Kong. With the application is successful, users in Malaysia will be able to link their local bank accounts to WeChat Pay and pay for goods and services in local currency, the ringgit. She added that this is because of the large Chinese community in Malaysia. In fact, WeChat Pay and Alibaba Group’s affiliate Alipay are turning China cashless by enabling payments or money transfers at the convenience of a code scan. The pair are expanding globally now, aligning itself with the increase of outbound Chinese travellers to get more companies on board to accept their services. This will allow users to make payments using bank accounts in China without any currency exchange issues. Malaysia’s Genting collaborated with CIMB Bank in June this year to launch cashless payment with Alipay at Resorts World Genting, targeting primarily at Chinese visitors. The partnership marks the resort being the first hospitality merchant to introduce Alipay in Malaysia. With Alipay, travellers are able to use their Alipay mobile wallet at various F&B outlets at Resorts World Genting, Awana Skyway station, SkyAvenue station and indoor Theme Park (SnowWorld, Bowling centre and Vision City). Genting has also been transparent on why it aims to target the Chinese tourists, as it revealed shared A+M, that nearly one-third of the two million tourists from China who visited Malaysia in 2016, came to Resorts World Genting. It added that this year, Malaysia’s Ministry of Tourism and Culture has projected three million Chinese visitors who would the country and out of this figure, one million is expected to visit Resorts World Genting. This week, Alibaba also made news headlines after it featured two new technologies aimed to disrupt the offline retail space at its second annual Taobao Maker Festival taking place from 8 to 12 July. Alibaba launched an experimental cashier-free coffee shop called “Tao Cafe” (淘咖啡) and smart speaker “Tmall Genie”. Its “new retail” strategy makes use of its big data technology and, connects offline outlets to online stores to enhance customer experiences. By scanning a QR code on Taobao app at the entrance of the store, patrons are tracked with cameras for facial recognition. After going through the checkout doors, customers will automatically make a purchase through their smartphones without needing to head to a register. “It’s not about Alibaba wanting to open more cafes, we are not in the restaurant business… it’s about digitalising the footprints of the visitors to an offline store.” said Tung. Tung added, offline retailers could improve by adopting online data capabilities to link the identity of the customers, and optimise their in-store shopping experience. Once these retailers obtain an understanding of what the customers need online, they can then can allocate the products the customers want in the physical offline store accordingly. 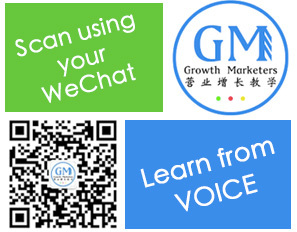 wechat wechat pay wechat payment gateway wechat service account wechat service account.